"Fatal error: Can not use function return value in write context in /home/jwgiyify/public_html/components/com_realestatemanager/realestatemanager.html.php on line 140"
Do you have any instructions for this component?
" 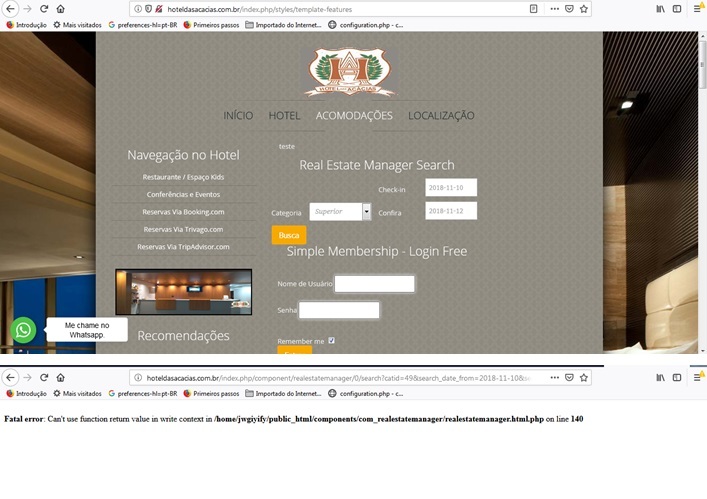 Fatal error: Can't use function return value in write context in /home/jwgiyify/public_html/components/com_realestatemanager/realestatemanager.html.php on line 140 "
Tem algum manual de instruções desse componente? Need check code, need debug component.